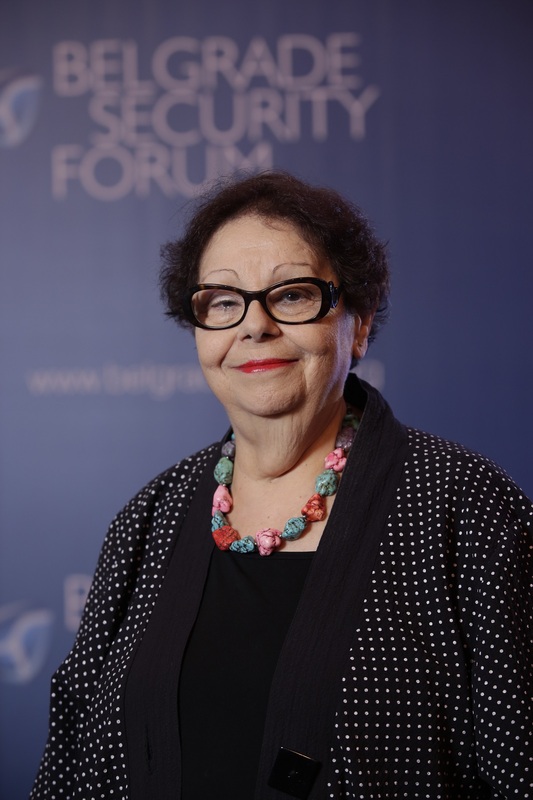 Sonja Licht is the President of the Belgrade Fund for Political Excellence. She was part of the Yugoslav dissident movement from the late sixties, and from the mid-eighties founded numerous local and international non-governmental organizations. Between 1991 and 1995 Sonja Licht was the co-chair of the international Helsinki Citizens’ Assembly. From 1991 to 2003 she was first Executive Director and then President of the Fund for an Open Society (Soros Foundation) in Yugoslavia (later Serbia), a major donor of a vigorous civil society. Sonja was the head of the Task Force of the Bratislava Process (established in July 1999 under the auspices of the East-West Institute in order to support the democratic opposition of Serbia). In 2010 she participated in the Council of Europe’s Group of Eminent Persons that prepared the report: Living Together: Combining Freedom and Diversity in Europe of 21st Century. She has been a member of boards of outstanding international organizations and is the laureate of numerous awards including the Star of Italian Solidarity and the French Legion of Honor. She is a Richard von Weizsacker Fellow of the Robert Bosch Academy for 2015.